Biarritz is a city on the Bay of Biscay, France. It is located on the Atlantic coastline and is home to 30,046 people. Biarritz, as glitzy as it sounds, is a new tourist attraction hotspot. Its rocky coastline boasts archaic architecture and contemporary characteristics. The glamorous area attracts hordes of laidback surfers who come seeking the best waves in Europe. 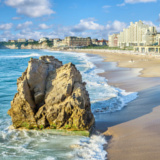 Cheap flights to Biarritz are now available for a limited period of time, so get ready to be enthralled by this beautiful city. Biarritz is home to the Biarritz Pays Basque Airport (BIQ), which is approximately a 20-minute drive from the city center. Decorative art and primal architectural buildings streamline the walls of the city in a kaleidoscope of glitzy colours. Young modern day hotels jostle against the backs of Belle Époque Villas. Dance and ballet is a dominant part of Biarritz culture. Star dancers of the National Opera Houses and choreographic masters are often summoned to annual championships. A cosmic gathering of revered chefs cook their way through the restaurants, cafes and hearts of the people. Re-awaken your taste buds with stuffed tomatoes and Basque seafood stew. Biarritz possesses a humid oceanic climate all year round. 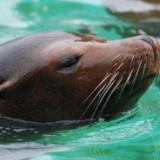 Spring (March – May): The weather is reasonable and always sunny, despite occasional morning drizzles of spring waters, caused by the slight nippiness hovering over the shoreline. The temperature is easy and calm, ranging between 15 to 18 degrees Celsius. Days are sunny and skies are clear. Spring festivals are normally celebrated around this time. This is also the peak season for Biarritz, as bountiful crowds draw into the city. Summer (June – September): Summers are balmy and sunny, with an average temperature of 24 degrees Celsius. A cloudless sky thrives during this season, and is perfect for great outdoor activities. Visitors stream into the city. Beach resorts, hotels, and villas escalate the tariffs during this season. To avoid being disappointed, plan your trip in advance, and book early. Winter (December – February): The heart of winter falls over December, and the season sees an average high of 13 degrees Celsius and an average low of 6 degrees Celsius. This is the off season for Biarritz and crowds fritter away and accommodation is plentiful. 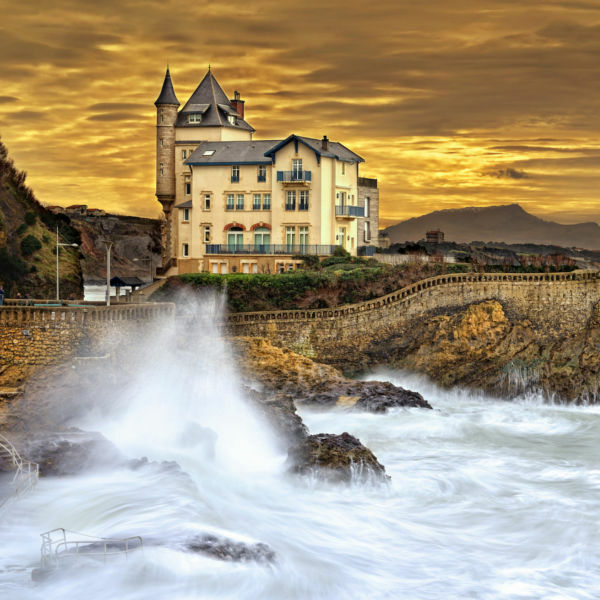 Biarritz is the queen of the Basque coast, and is considered to be quiet and serene. Because of its beautiful coastline and the proximity thereof, beach life is a common phenomenon. The town boasts six beautiful, therapeutic beaches. The magnificently wild stretch of La Cote des Basques is the best spot for surfing. People walk around in dripping wetsuits, not just on the beach but in the streets as well, in search of the next best adventure. Biarritz appeals easily to families and older people, in as much as it does to younger generations. It is a place where lavish restaurants and spas intertwine harmoniously; teeming with easy-going pizza shops and pretty surf-‘n-turf shops. The commotion of surfing has deep roots here. It is more than just an activity, it is a culture. Compare several airlines, and book your cheap flights to Biarritz online at Travelstart. There are vaccination requirements if you are travelling from a country outside of the US. There are no real health risks within Biarritz, France. • Routine vaccinations for Hepatitis A & B and rabies are recommended. • Ensure food and water safety. • Avoid getting bug bites. • Bring plenty of sunblock of a high sun protection factor and try not to spend too much time in the sun. The magnificently beautiful hotel and spa overlooks the bay of Biarritz. Interior designs are motivated by French Art Deco and Haute Couture, with exquisite rooms featuring scenic ocean view backdrops, and scenes of the golf course. Enjoy the on-site restaurant, with terraces overlooking the lighthouse. The spa and outdoor swimming pool add to a complete sense of well-being and relaxation. In close proximity to the airport, world-class shopping malls, and expansive views of the Basque countryside, the oceanfront hotel is a perfect choice for travellers. 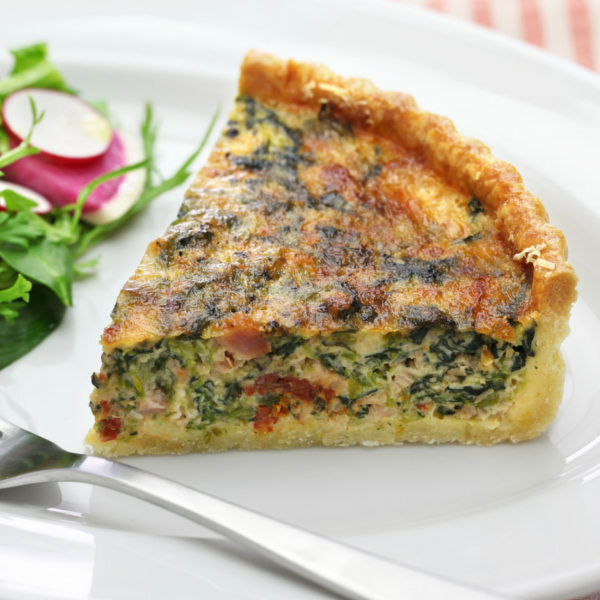 Indulge in international cuisine or local Basque dishes. The hotel is well equipped and facilitated with entertainment for kids, from game rooms to movie rooms; consider it a gift to young people. Maintain your exercise regime at the indoor fitness centre, finish business presentations at the business centre, and park in the secure underground parking. Bus: Buses run recurrently between Bayonne and Biarritz, and it is inexpensive. The fare is a flat-rate, and buses leave from the stop near the tourist office beside the square d’lxelles. Train: The train to Biarritz stops about 3-kilometres south of the town centre, at La Negresse train station. Enquire about fares at the local station, and check the map for destination routes. 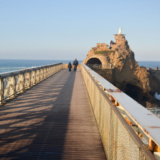 Ferry: Enjoy and explore the blue sapphire waters of the coastal bay of Biarritz. Daily cruises depart from the seaport. Car: Car rental companies are available at the airport, and each have individual station desks. However, it is always best to book ahead when travelling.